Trina Small is a fashion obsessed mom of two and wife who chronicles her daily life on her blog, Baby Shopaholic. As far as being a perfect wife and mom for social media – she doesn’t work towards that, she shows the real. We talk about perfection – and why it’s not good for us to strive to be perfect moms. For 4 years she was working full time, running her blog, and raising her family. She would switch to use her vacation time and had to pick and choose between her job and her blog. Eventually, she and her husband decided for her to quit her job – and shortly after became pregnant with her second daughter. 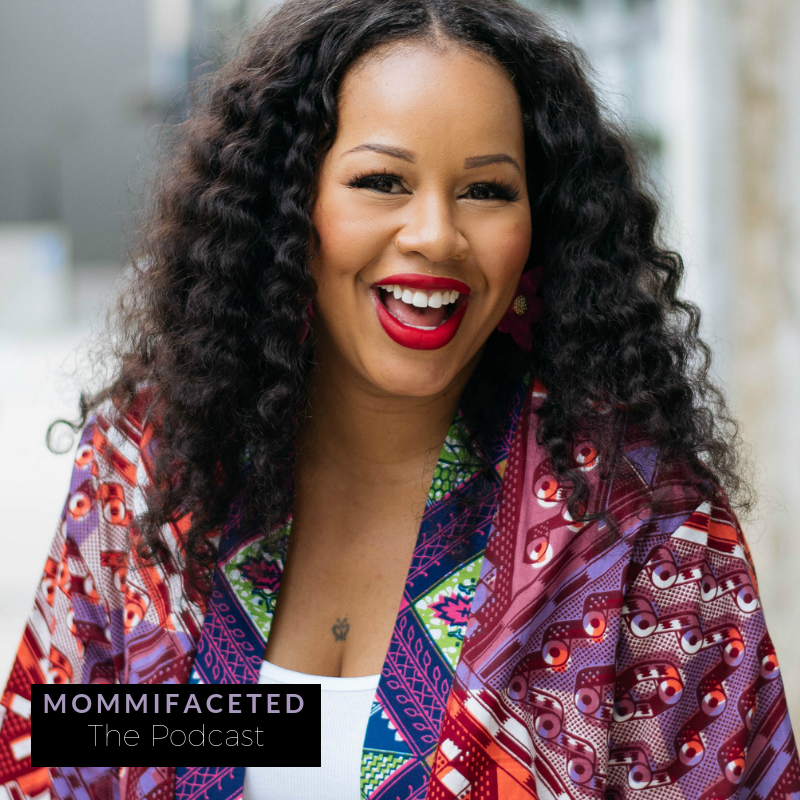 She utilized her own mother and husband’s support to manage all of that at the same time, she especially saw a big change when she had two children. I would have to keep pausing and remember this is my life right now. Some of us see our moms struggle and being a stay at home mom is like a unicorn, it doesn’t happen. We talk about our identity as moms, how she works with her husband to share the load at home, and making sure she reclaims her time. We put so much pressure [on ourselves] to be perfect all the time. This episode is sponsored by Perspectives Yoga Wear – use code MOMMI for 15% off your next order.